In the mid-15th Century the pope gave permission for the first private chapel to be built, in the Palazzo Medici, Florence. Frescoed shortly afterwards with the Procession of the Magi by Benozzo Gozzoli, the Chapel became the setting for an experience in guided perception supported by multimedia technologies and augmented reality. The aim of the project was to integrate the aesthetic, historic, and philological understanding of the artwork with the responses of the observers experiencing the work. To this end an immersion itinerary was designed focusing on analysis of the observer’s capacity to enter into contact with the artwork through sensory channels and how this relationship might be augmented. Using the tools of qualitative and quantitative research, the data collected was analysed for psychological and physical reactions, especially emotional response. 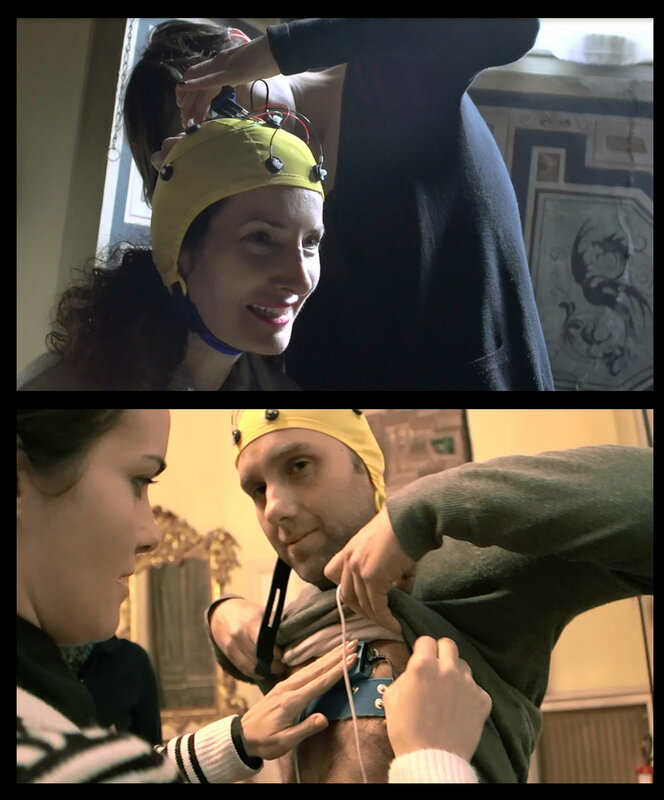 Much of the protocol employed was adopted from that used in our "In the Mirror of the Wonder of Luca Giordano" project, supplemented with more advanced systems of scientific-cognitive analysis and supported by technological innovations that make it possible to detect biological parameters and perform cerebral mapping in real time. The research began with a series of workshops taking place over two days. On the first day, an entrance test was followed by an introductory session in which the Palazzo Medici Riccardi and the Chapel of Benozzo Gozzoli were presented through multimedia. 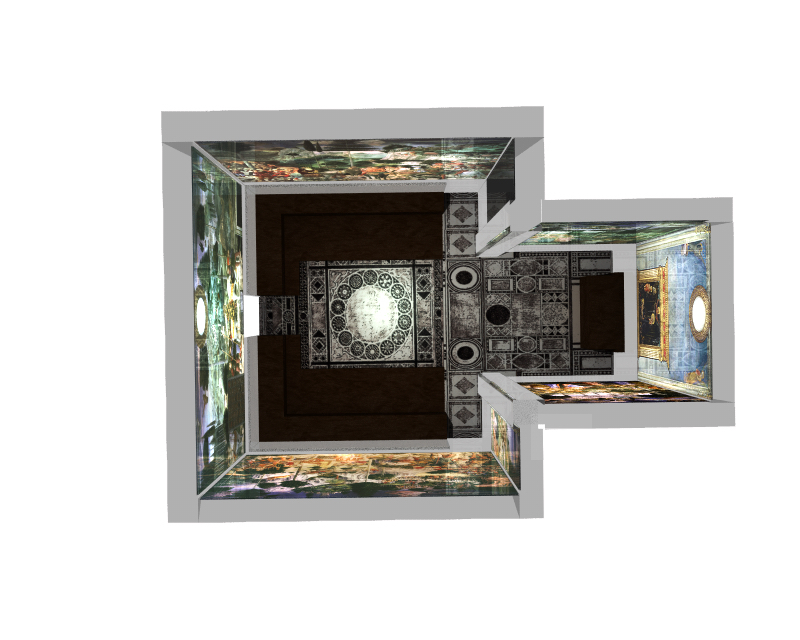 Videos and 3D reconstructions of the architectural transformations that took place during the Baroque period were followed by an individual virtual tour of the Chapel in the Laboratorio di Lorenzo il Magnifico multimedia room. The next day featured a physical visit to the Chapel dedicated to the phenomenological perceptive experience of this special place. 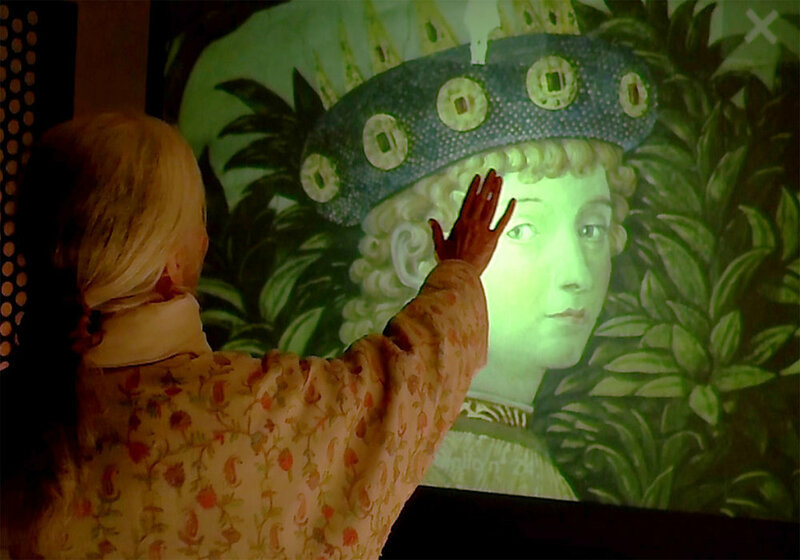 Visitors were accompanied on this experiential itinerary by a sort of double vision, moving from direct observation of the fresco to insight into specific details previously filmed and reproduced in 4K video format. This amplification made it possible to add information both of a strictly cognitive kind regarding pictorial technique, richness of detail, etc; and of an emotional-sensory nature. The visual and kinaesthetic components of the study were accompanied by five specially composed soundtracks plus another for the meditative itinerary leading to the Chapel. These musical tracks, three profane and two sacred, mirrored sections of the fresco in sequence with the visitors’ perusal of the artwork. At the end of the second day post-experience tests were performed. This project explored the relationship between visitor and artwork. Despite the inherent complexity of the project, this pilot research demonstrated the feasibility of the working model and the potential for gathering biological and physiological data. The acquisition of psychophysiological data is a springboard for continuing transdisciplinary scientific research and analysis and for further exploration in the study of benchmark parameters for the design of virtual and real museum layouts.